This one day direct entry qualification course will focus on; route setting good practice, the creative process, setting for children, hold attachment, ladder use, WAH regulations, equipment / tools, setting productivity, forcing moves and grading. The course is intended for climbers / boulderers who have a have the minimum ability to climb Font 6b indoors. 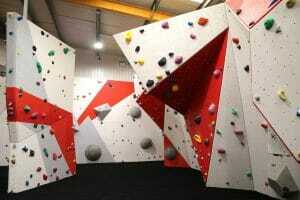 The course is mainly practical and will include a good amount of Bouldering so bring your climbing kit. It will be taught by Ben Humphris, Professional Route Setter, RSA Trainer, IRATA Level 2 qualified technician and Mountaineering Instructor. .This course is approved for 1 MTA or 1 AMI CPD point.